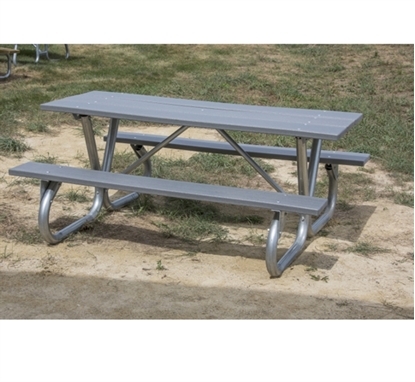 This 6 foot environmentally friendly recycled plastic bench features heavy duty cast aluminum legs and recycled plastic slats. 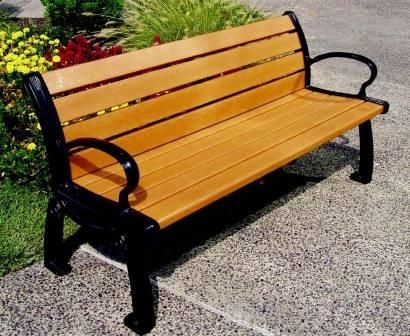 The recycled plastic is colored with a unique UV process that adds an attractive wood grain appearance. 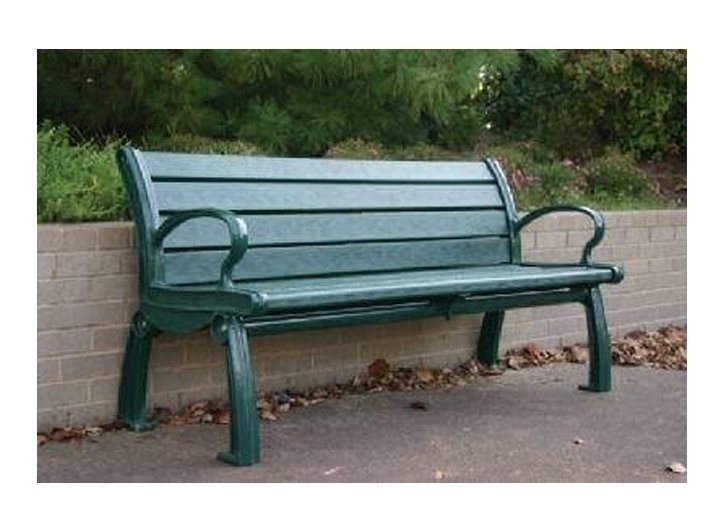 Our recycled plastic benches are commercial grade and last for years in venues such as parks, gardens, schools, and other commercial environments.